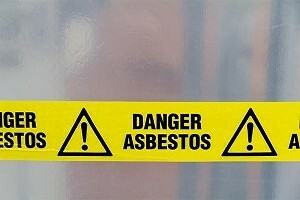 Mesothelioma is a form of cancer often caused by exposure to asbestos. Cancer cells develop in the mesothelium, which is the protective lining that covers most of the internal organs. These cancer cells divide and can invade and damage nearby tissues and organs. Cancer cells can also spread to other parts of the body. Asbestos is made of tiny fibers that are easily inhaled during a renovation projects. The tiny fibers get into the smallest and most remote parts of the lungs and they cannot be coughed out. They settle into the tissue surrounding the chest cavity, where they cause inflammation, which often times leads to mesothelioma. If you or a loved one has been diagnosed with mesothelioma, we can help. Call Cellino & Barnes now at 1-(800) 888-8888 or contact us. Most people who develop mesothelioma have worked on jobs where they inhaled asbestos particles, or they have been exposed to asbestos dust and fibers in other ways. Washing the clothes of a family member who worked with asbestos, for example, can put a person at risk for developing mesothelioma. This is known as second-hand exposure. The types of workers likely to have been exposed to asbestos include steel workers, construction workers, pipefitters, demolition workers, asbestos insulators, laborers, railroad workers, automobile and heavy machinery mechanics, people who lived near to asbestos factories, and family members through second-hand exposure. There are four stages of mesothelioma cancer. Stage I – the cancerous Mesothelioma cells begin to grow and spread over one layer of the pleura (the membrane that lines the lungs and chest wall). Stage 2 – the cancerous Mesothelioma cells are now affecting two layers of the pleura. During this state, fluid begins to build up between the membranes of the lungs and chest wall. Stage 3 – the cancerous cells have spread to the chest wall, esophagus and the lymph nodes on one part of the chest. Severe pain is felt in the affected areas. Stage 4 – the cancerous cells have penetrated into the bloodstream and other organs in the body, including the brain. The lymph nodes on both sides of the chest may be affected. Once mesothelioma is diagnosed, often the prognosis is not very good. Treatment for Mesothelioma may include surgery, chemotherapy and radiation. When you or your physician become suspicious that you may be suffering from asbestos exposure, a complete medial review, including work history regarding asbestos exposure, physical exam, x-rays of the chest or abdomen, and lung function tests will be performed at the direction of your doctor. You may also be asked to have a CT scan or MRI. If any of these tests show potential signs of mesothelioma, a biopsy will generally be taken and tested. What is a Biopsy – A biopsy is when a small sample of tissue is removed from the body and examined under a microscope to assist in diagnosis. Surgery – When the tumor has already spread beyond the mesothelium and is difficult to remove completely, Palliative surgery may be recommended. Palliative surgery is a type of surgery that does not treat the underlying disease but is done to control symptoms of cancer, such as pain. Curative Surgery is done when the patient is in good health and the tumor is thought to be confined to a small area and can be removed completely. Radiation Therapy – Is when ionizing radiation is used to kill cancer cells and shrink tumors. Radiation therapy can damages both cancer cells and normal cells, however, most normal cells recover. The purpose of using radiation therapy is to damage as many cancer cells as possible, while limiting harm to nearby healthy tissue. Mesothelioma can develop for years without showing any signs. It has an “incubation” period of from 20 to 40 years and even longer. Incubation simply means the amount of time it takes from when you were exposed to asbestos, to the onset of an asbestos-related disease, such as mesothelioma.